Ladies and Gentleman's (i'm not rolling the dice for sure), it has been a while since my last post, due to more work in the field and research. So, back to business, i've dedicated some time on Kasabian's last record and like i did with last year's Kings of Leon"Only by the night", i went and dig, dig, dig, until i was allowed. And now, here's the result for your own evaluation. It's devided in parts since i believe it'll catch your attention in a better way. One of the key elements of this record was the the Wired Strings who (as introduced in their website) comprises of up to 30 young and dynamic string players in London and New York, who specialise in the Performance, Recording and Arrangement of Strings in pop music. The String section was written by Kasabian's Serge , performed by above mentioned Wired Strings and all arrangements written by Rosie Danvers. This and other answers can be found on part II of this work that includes the complete Rosie Danvers interview. As usual you can follow my play lists and video lists within the blog. 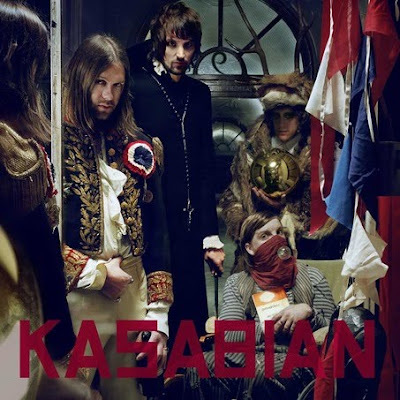 2 - Kasabian - Where Did All The Love Go?